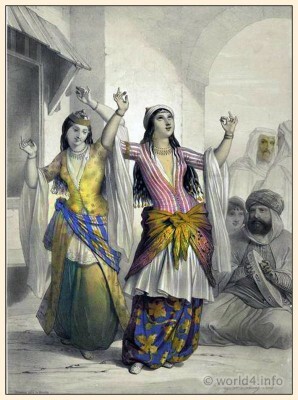 Egyptian Dancing Girls. The Oriental Album. Characters, costumes, and modes of life, in the valley of the Nile. Painting by Emile Prisse d’Avennes.